In a recent study sponsored by the California Energy Commission, researchers at Lawrence Berkeley National Lab (Berkeley Lab) have revealed insights about this widespread but poorly understood source of energy consumption. At least two-thirds of the U.S. population play computer games on PCs, consoles and media streaming devices like Roku or Apple TV. But the energy use from this growing industry, which extends worldwide to some 2 or 3 billion people, has gone unmeasured. The lack of reliable energy data means both the gaming industry and gamers themselves are missing out on potential ways to save energy, lowering electric bills and greenhouse gas emissions in the process. Computer games have come a long way since the first Atari titles of the 1970s. Today's mind-blowing graphics and sophisticated storylines, however, bear an energy cost. A high-end game today might draw 50 times more electricity than good old Pong and its simple bouncing ball. 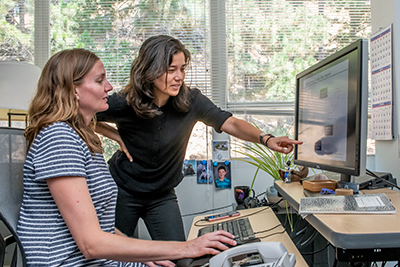 The team at Berkeley Lab conducted the first-ever scientific analysis of energy use across current gaming platforms and game types, testing 26 different systems and 37 games. Their recent report, "Green Gaming: Energy Efficiency Without Performance Compromise," details how games use energy, along with a number of ways both the industry and gamers themselves can cut down on energy use. 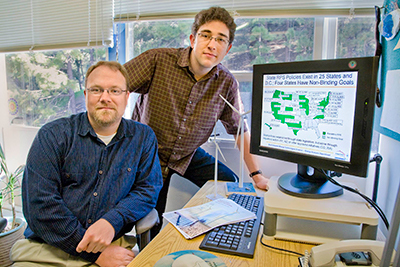 Using their measurements from individual systems to estimate energy use in California, the researchers concluded computer gaming gobbles up more energy statewide than electric cooking, dishwashing, freezers, electric water heating, or clothes washing. The team found energy use varied widely across different types of gaming systems, from 5 kilowatt-hours a year to 1,200. But certain components stood out: The graphics processing unit (GPU) in game systems, for example, can account for more than half the power draw as it renders the video images during game play. "Right-sizing the GPU is enormously important," said Norm Bourassa, a lead author on the report, along with Evan Mills, Leo Rainer, Jimmy Mai, Arman Shehabi, and Nathaniel Mills. "If the games that you like to play don't need a super high-powered GPU to produce the beautiful pictures, then don't game on a system with that high-powered GPU." Bourassa said many games could also be developed with efficiency in mind—more pause-points, for example, so gamers can save their place in a game and shut the system down instead of leaving it idle and still using electricity. The team found that energy use varies widely depending on game chosen. "The way the games are coded, right from the very beginning, ought to have an energy efficiency ethic that propagates all the way through to the hardware," Bourassa said. Overall, most gaming PCs were found to have larger power draws than consoles such as Xbox or PS4, but that doesn’t always result in larger annual energy consumption, since annual gaming hours differ between the platform types. However, both types of platforms hold plenty of room for improvements. PC systems could be saving about half the energy they are consuming, and consoles could be saving about 40 percent. That said, the authors note consoles already have gotten more efficient over the past decade and a half, generally declining in power demand even as the user experience improves. The research team found that aggregate gaming-related energy demand could rise by 114% or fall by 28%, depending on gaming behavior trends, equipment choices, and efficiencies. “Among the biggest surprises was the very significant increase in energy use associated with cloud gaming, where energy-intensive graphics processing is shifted from the confines of the gamer’s home to centralized data centers,” said Evan Mills, co-lead of the project. He also noted that virtual reality is a real wildcard, increasing energy use dramatically in some cases—but it’s also a candidate for efficiencies achieved via software that can yield lower energy use than traditional flat displays. Among the other important findings, while hardware choice is an important determinant of energy use, gaming behavior (time spent gaming, user settings, etc.) is an equally important driver. For gamers who are interested in how game settings and equipment can help them save on electric bills, the researchers have set up a website called Greening the Beast. Among their tips: power down when not playing, buy ENERGY STAR-rated equipment where possible and tweak your display settings. That calls for establishment of standardized energy test procedures, ongoing assessment of emerging energy-efficiency opportunities, improved understanding of user behavior as a driver of demand, market tracking to understand the ever-changing installed base, and incorporating the burgeoning energy use of computer gaming into energy demand forecasting. The report offers many detailed recommendations.